Dungeon Synth is a genre that has seemingly taken the scene by storm lately. Sure, it’s been around in various forms or so for years (early era Mortiis for example), but there seems to be a major influx within the last few years of the style. The slow and haunting synth work, accompanied by maybe a few extra melodic undertones or even an airy and dark atmosphere make the genre one that can be beautiful and mesmerizing, but is not always for everyone. 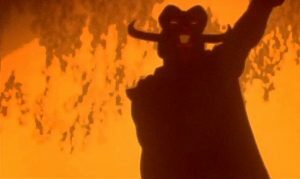 One such act is the polish Moloch, based out of Opole. This one-man project of Fabian Filiks (otherwise known as Moloch), has been around since 2006, and recently released the early material on a massive two CD release featuring two full-lengths, as well as an EP over the course of 36 tracks. 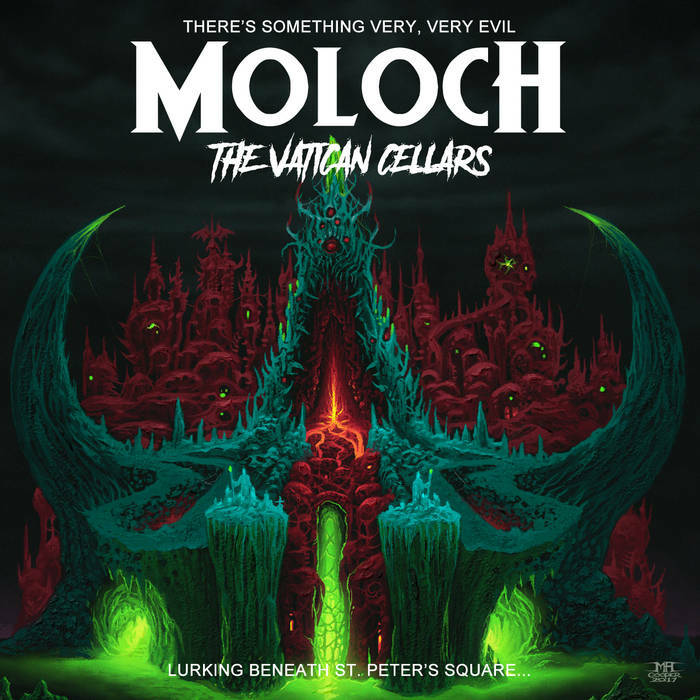 Entitled The Vatican Cellars and available via Via Nocturna, this release is a lot to take in, and may not be for the weary. Being perfectly honest, I cannot say I am the biggest purveyor of this style. I have enjoyed the early work of Mortiis, but never got too far into the genre as a whole. That being said, this release was a huge undertaking for me. The initial listen lead to a lot a of thoughts of dullness and feeling as if the work was purely background music. However, subsequent listens proved to be far more fruitful. There is something haunting and beautiful at the same time about this (these?) album that comes across as eerie but also hypnotic. 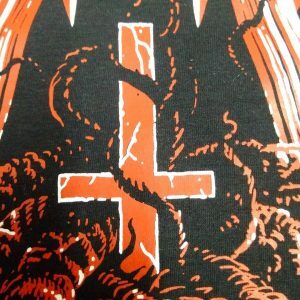 The dark synth work is slow and atmospheric while the other pieces fit perfectly to make some interesting soundscapes. While some tracks feel as if they could fit along with the nostalgia driven and 80’s loving synth artists of the modern day, there are plenty of tracks that genuinely feel creepy. “Hallucinations” is one of those tracks, that allow you to really picture yourself in a dark castle at night wondering the halls trying to find the way out. The piercing high noises also lend an uncomfortable feeling to it all, building up some tension and making you feel out of place. No matter where on the two discs you are, there is a story to be told on the track. While this release is not an easy listen, it can be incredibly rewarding. With over two hours of material, sitting through this in one go is honestly not something I can not see too many people doing, unless you are in love with the genre. I can, however, see people finding plenty to enjoy here if given the proper time. As stated previously, upon first listen, I was ready to cast this aside. I felt I had heard all I needed to after just a few tracks. While I still am no expert on the genre, and feel I am lacking on the words to explain exactly what makes this release standout, there is no denying I have been trapped in it’s spell. The Vatican Cellars is one hell of a mesmerizing listen, and really one that came as a total surprise to me. Fans of the genre should check this out right away, and those looking to find out what all the fuss is about should be willing to give this massive compilation a few good spins and let it get into your psyche. This entry was posted in Bands, Black Metal, Folk Metal, Progressive Metal, Reviews, Uncategorized and tagged 80s, ambient, dark ambient, Dungeon Synth, Fief, instrumental, Mortiis, Old Tower, Rabor, Ranseur, Spectral Kingdom, synth.